Brisbane’s no.1 choice for all types of concreting. Your satisfaction is our business. Do you need a house slab? Want to put in a shed or driveway to fit your car or boat? Need access paths around your house or an outdoor entertainment area? Do you need Earthmoving and Excavation for a new building, pool, renovation or site clean up? We provide the solution for all your concreting and excavation needs. We can construct slabs of any size, to engineer specification for residential, commercial or industrial use. Car parks, warehouses, home and building slabs and footings. 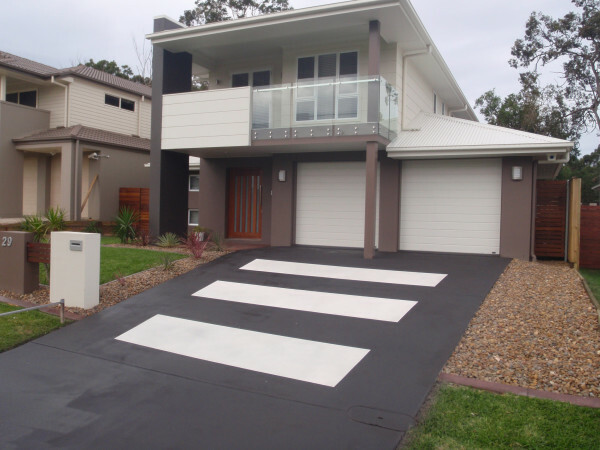 We also specialize in decorative concrete, constructing driveways, footpaths and outdoor areas that compliment the building and become stand out features in any setting. There are so many new styles, colours and patterns to choose from and its amazing how much some decorative concrete work can improve the look of a house, while providing usable space and adding value at the same time. Even better, concrete is strong and durable, low maintenance, and very reasonably priced. We work with builders and the general public. All we need to do is look at some plans or you can tell us your design ideas and we can provide solutions and a quote. 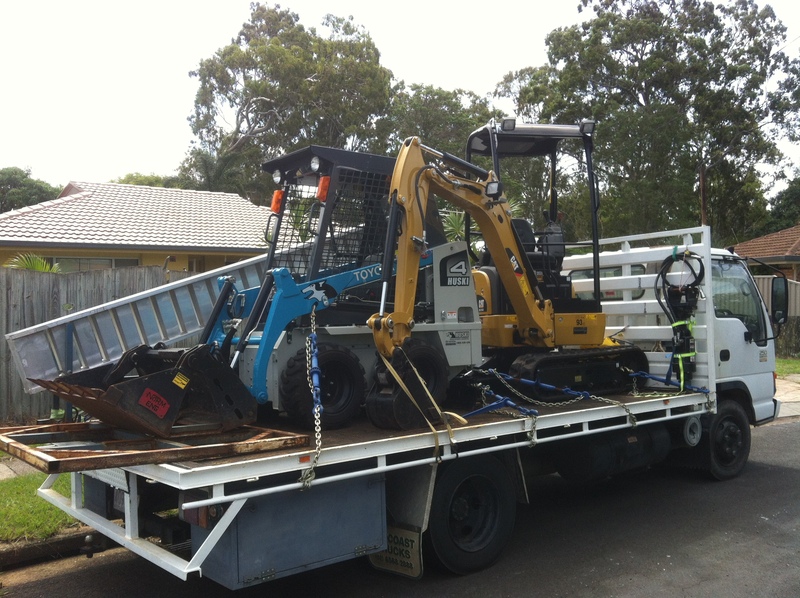 Our team can also provide earthmoving and excavation with our mini skid steer and excavator combo. Our set up is perfect for tight and limited access work, we can get where the others cant. For larger jobs, no problem, we can also organize machines of any size so no matter what you need, we can sort it out. If you’re building a new house or shed and need a slab to engineer specs, we specialize in both waffle pod and conventional slab systems. Inside this section you can learn more about the house slab process and we have put together a small guide to what is involved in a waffle pod slab. Check out our house and building slab section. As well as new concrete work we also provide restoration and cleaning work for existing concrete. If your concrete is looking old and worn out we have a number of options to improve its appearance, from pressure cleaning and re-sealing to full resurfacing. Check out our Clean and Restore section. 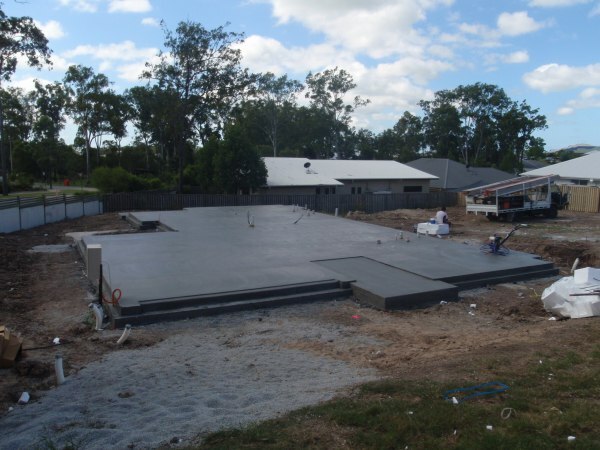 If you need any kind of concrete or excavation work in the greater Brisbane area, please dont hesitate to call. We will help out any way we can.